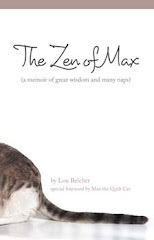 A section will be set up for Authors MIA where anyone not able to join us in person can send in a book sample, contact information for ordering, and any other information book browsers might like. The charge for the space is $25. The materials will not be returned and the sample book(s) may be donated to the library afterwards. If you're interested, register at the Friends of Deltona Library Website with Pay Pal or send in the application with your registration fee. Make a note of “in absentia” in the box for “additional name tags.” For further information contact Christy Jefferson at 386-574-9376. Oct. 15, 2011 from 11 a.m. to 3 p.m., The Authors Book Fair will serve to bring all authors and readers together to talk about books and hear the authors speak on book-related topics. The public will be able to buy directly from the authors, often at reduced prices. A personally signed book is a great Christmas present. The event also includes “how to” workshops for new authors and a Kidz Zone. A wide range of genres are represented including children’s, mysteries, spiritual, memoirs, poetry, Spanish, outdoor Florida and gardening. 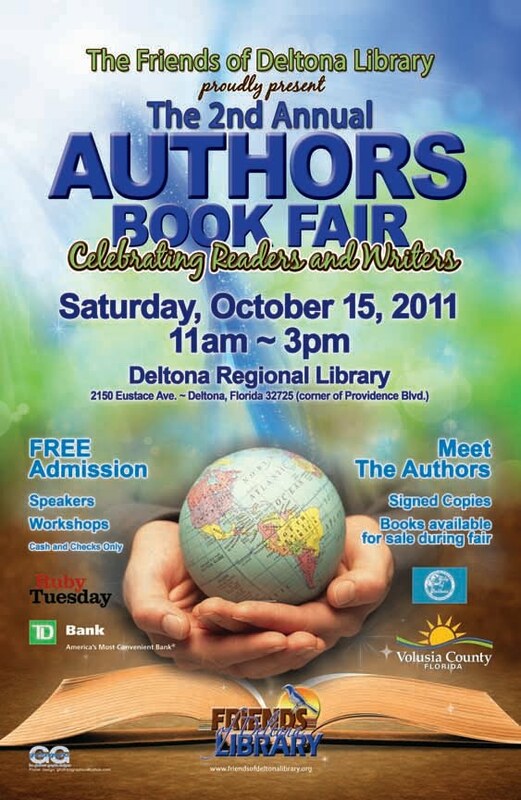 The fair is a fundraiser for the Friends of Deltona Library. Admission is Free to the Public. For more information, see www.friendsofdeltonalibrary.org. The library is located at 2150 Eustace Ave, Deltona, 32725.